Before they chose the "green" pill, Jas and Morgana didn’t stop to think about their day-to-day purchases — where they came from or where they went. Something as simple as razors for example. Maybe because the ritual is so personal, they couldn’t think beyond the bathroom door. Where do razors come from? Where do they go? 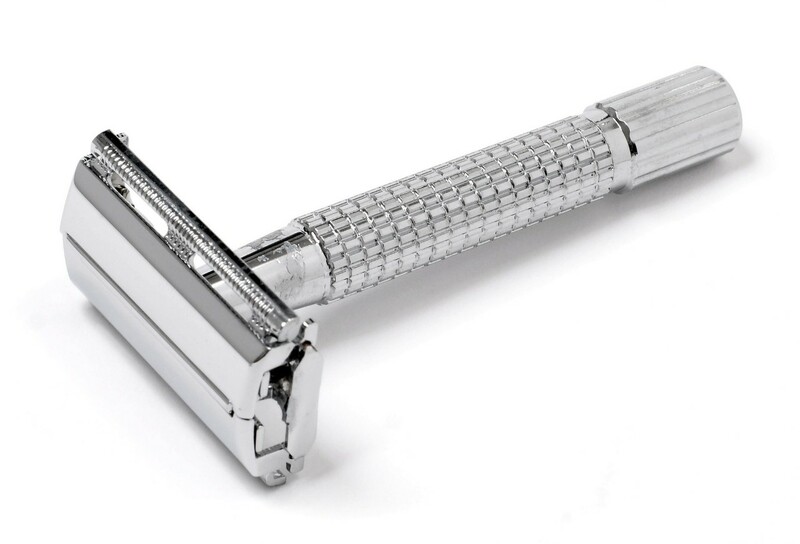 Razors usually consist of two parts: the steel blade, and the plastic moulding. They are one of the cheapest and most functional personal grooming items you can buy, but this easy purchase has very permanent environmental effects. Disposable razors, as their name suggests, are not made for reuse, or recycling for that matter. Even if you wanted to, it is difficult and dangerous to try and pull the recyclable metal out of a disposable razor. We throw them in the trash because it is easier, and at the end of the day, the only action we can think of. SOLUTION NUMBER 1. Don’t shave. We managed it for thousands of years, we could do it again. Be bold. Embrace your body for the jungle it was born to be. SOLUTION NUMBER 2. Do shave, but do it sustainably. REALLY sustainably. For that, we are going to have to go back a century: to the "vintage" safety razor. Guess who patented the safety razor? Gillette. This is literally the OG shaver. The granddaddy of the lesser disposables. Production of the Gillette model ceased in the late 80’s because we switched to the slight convenience of disposables and destroyed the market. Well, guess what? Using vintage products is hip and granddads are cool. The zero-waste element of this becomes even clearer once you realise that the razor blades, once completely used, can be put into a soda/aluminium can, and thrown in with the rest of the metal recycling. Another point for the safety razor. Jas was nervous about this. Just her handling kitchen knives is a threat to humanity, let alone willingly taking an open razor to herself. The thing is, the razor is only "open" for three seconds: when it is being changed. Apart from that, the danger levels are no different from a disposable razor. The short arm is not necessarily more awkward, it just requires a different technique. The obvious advantage was how precise the shave was. You could see the exact line your hair was being cut. Incredible. The hardest part of this challenge was actually tracking down a safety razor, to begin with. We have been looking all month to no avail, around all of Amsterdam, and we would still be lost if it weren’t for the zero waste store at Cafe de Ceuvel. All in all, once the equipment was in the house, this was incredibly easy. Morgana is next up to try it, and we are both pretty sure that we will be life-long converts. It will be a challenge to see who can make their razor pack last the longest. Read what Jas and Morgana were up to in the past 26 days.